Your opinion matters. Leave your review of Alternative Homes for Youth. Description: Alternative Homes for Youth (AHFY) specializes in transforming the effects of trauma, neglect, and abuse in the lives of children. Our commitment is to respond to the needs of the community and our clients by integrating current research to create individualized treatment plans and multi-modal treatment approaches which are adaptive, vital, and effective. Alternative Homes for Youth (AHFY) treats adolescent males with sexually abusive behaviors, substance abuse challenges, mental health challenges, and challenges with other criminogenic behaviors ages 13-20 under a RCCF license. AHFY treats youth that are dually-diagnosed, according to the Diagnostic and Statistical manual of Mental Disorders (DSM-IVTR), with such classifications as, adjustment disorder, bipolar disorder, depression, or attention hyperactivity disorder (as well as several other DSM-IVTR distinctions). The youth may or may not require use of psychotropic medication. • Youth with other criminogenic challenges including but not limited to starting fires, trespassing, theft, substance abuse, etc. Youth will not be accepted into AHFY if they do not meet the above criteria, are actively suicidal or psychotic, are unable to refrain from physically hurting themselves or others, or are not cognitively able to participate in the psycho-educational program component. Do you have items to donate? 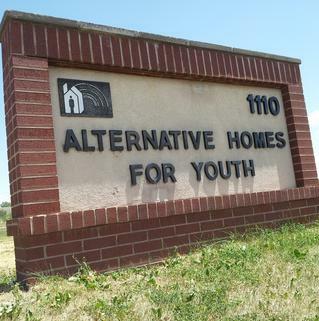 Contact Alternative Homes for Youth at the phone number provided above to see if they can use any items you may have to donate.